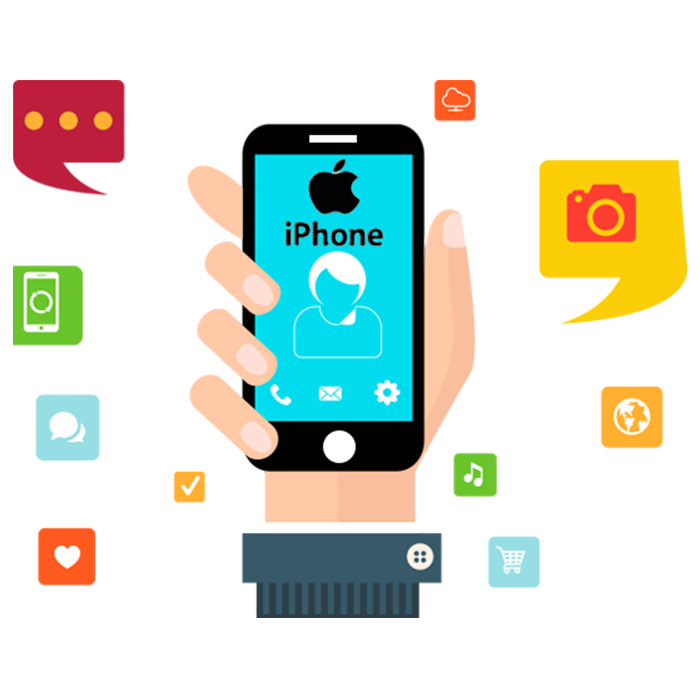 The iPhone app market is highly lucrative, but in order to be successful, you need a reliable and technically sound iPhone app developer to deliver right functionalities, experience, rollout and most importantly the support. An iPhone app is an integral part of your mobile app business strategy. iPhone and ipad still defines the standard and allows your app to get exposed to premium users. iPhone users have high expectations in quality of the design and functionality of mobile apps. Our developers remained focused to develop a mobile app that exceed the expectations of iOS users, and manage it over time to reflect the evolving market. iOS mobile apps has high dependence on user input. The ranking that measure popularity of apps in App Store takes user ratings and user reviews into account, besides the number of daily downloads. After launch, we continue to support your iOS mobile app in order to maintain its compatibility with the latest devices and models. Our iPhone app developers have been in the industry since 2010, and during the last few years, we've made many iPhone apps for our international customers. Our iPhone app developers have comprehensive knowledge in iOS, we are well placed to develop your iOS mobile app in a way that captures the essence of your business, while keeping the development cost affordable as we are based out of India. Our objective is to build a mobile experience you want for your customers, on the OS – android or iOS – required to reach them. Contact us today to learn how we can help build a successful iOS app for you. Airmega smart air purifiers and filter products clean the air creating healthy homes free of indoor pollutants and allergens. 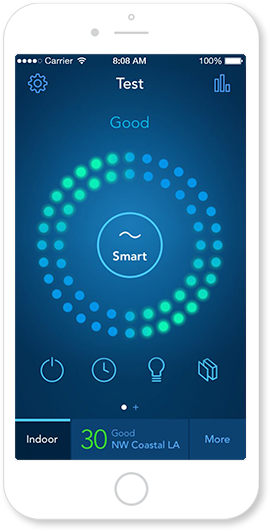 The app lets its customers monitor the air quality inside their home, see the status of filters, set the timer, receive real-time outdoor air quality updates, and even activate the Airmega remotely. After experiencing initial issues in the older version, they gave us the opportunity to rework on design and code and release the updated corrected version. The client Anything Delivered is an errands service provider. They wanted an app to enable them to take care of occasions when clients are unable to do something due a number of reasons, for instance a nursing mother has run out of diapers. She needs someone to bring a pack of diapers and all she has to do is access Anything Delivered to help them. AD wanted to provide a hassle free errands system that is just a call away. Bookings were to be taken through a mobile application, web page and a phone call. .
SENDY LTD is a Nairobi based company and they wanted to offer on demand services similar to Uber – 24/7 on-demand, door-to-door, delivery and transportation services. 24/7. Basically all B2C and B2B transportation services in one place ! 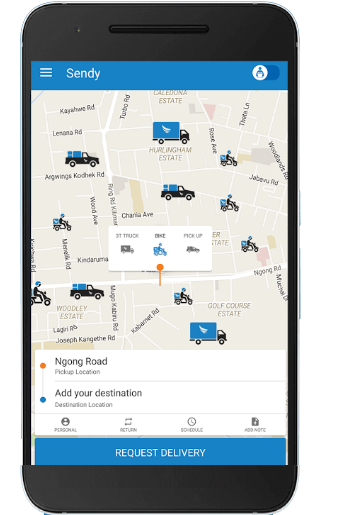 The app we made for them had features wherein : Customers can see available drivers on the map in real time, set pickup and drop-off locations, and choose from favorite locations. Stolle UK is a Camden, London based restaurant and bakery with a reputation for the best pies, pastries and smoothies. They started in 2002, with the opening of first restaurant in Russia and the chain now has many restaurants in Russia, New York, Munich and London. The app was to help them connect with their customers on the move and online ordering . 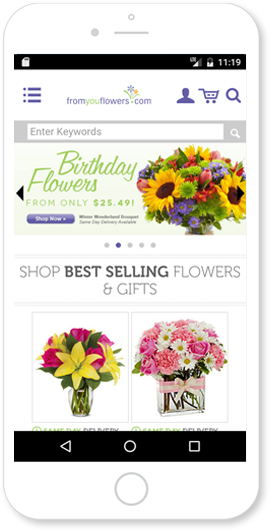 From You Flowers wants to make ordering flowers online unforgettable. They believe that when you send flowers to someone it comes from the heart. They are committed to ensuring that bouquets are fresh, beautiful and delivered on time for the occasion. Their online store offers a collection of unique gifts including flowers, gift baskets, teddy bears and balloon etc. All for same day or next day delivery anywhere in USA including - New York, Texas, or California. We'd love to hear about your project ! 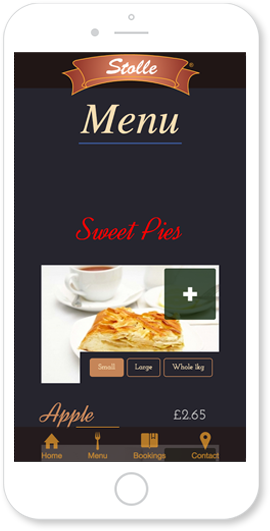 We, at Right Step Technologies, are top-notch iPhone app developer from India. With the ever increasing iPhone user base, one must have an iOS application besides android app. We are here to help our clients get the perfect iOS app that matches their business goals and fits into affordable budgets. In business since 2010 we are far ahead of competitors in iOS app development experience, especially in terms of quality and cost. Our iOS app designers craft aesthetically pleasing apps with simple UI but awesome UX.